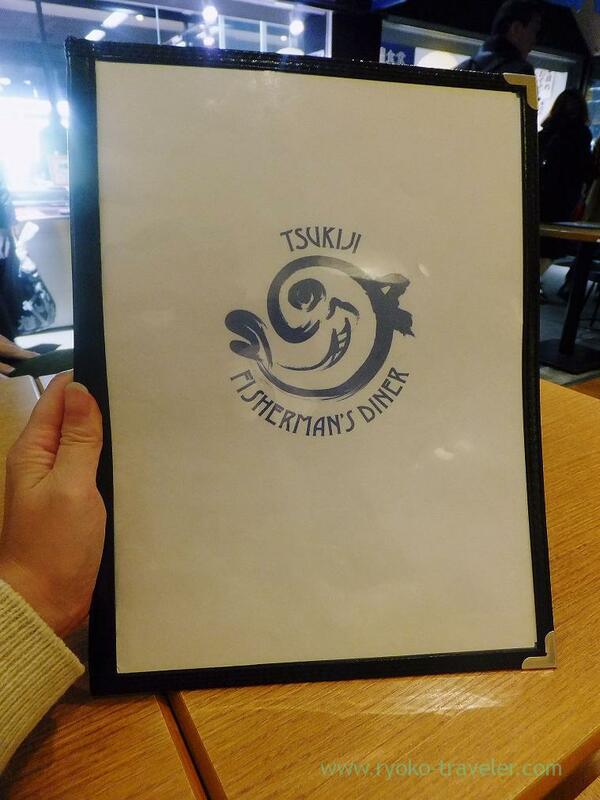 Some of my acquaintances praised this restaurant in Tsukiji. There used to be “Re-fish Shokudo”. The owner isn’t changed. They had changed the restaurant’s name from “Re-fish Shokudo” to “Nippon Fisherman’s diner” because many people was wondering its name. So, menu is similar to former restaurant. 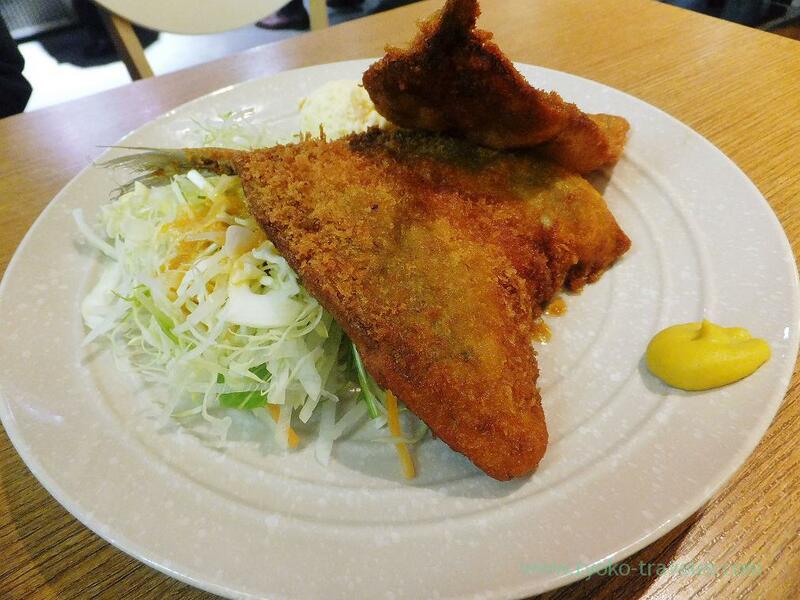 My acquaintances recommended this deep fried horse mackerel (こだわり鯵フライ, 756 yen * 2 portions). Those were fried deeply with fine bread crumbs thickly and seasoned with vinegared soy sauce. 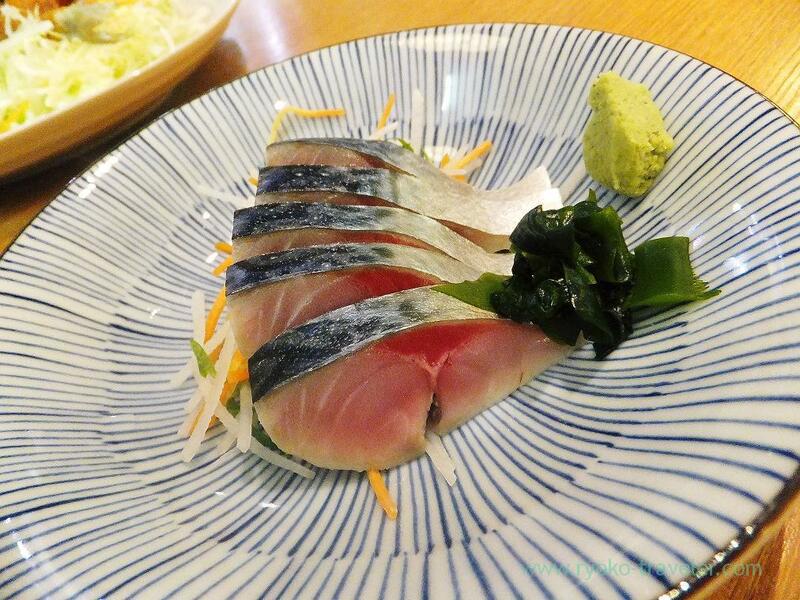 The horse mackerel itself was tasty. But I like thinly, crispy coating like Yachiyo. Those lightly vinegared mackerel was tasty. I like it. 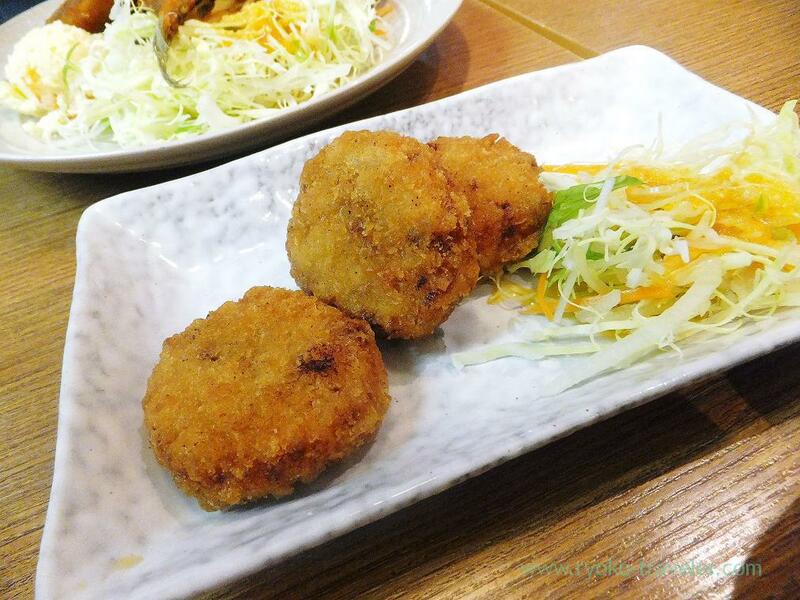 Akashi octopus croquette (明石タココロッケ, 540 yen). I ate it at former restaurant. There were few slices of octopus last time. But I enjoyed the texture of octopus much this time. I agree. Good mackerels don’t need much vinegar and restaurants don’t need much seasonings like salt and vinegar. Your posts make my mouth water ! !